There are currently around 40 reports available including full analysis for 24 BDCs (currently AINV, ARCC, CCT, CGBD, FDUS, FSC, FSIC, GBDC, GLAD, GSBD, HTGC, MAIN, MCC,MRCC, NMFC, PFLT, PNNT, PSEC, SUNS, TCAP, TCPC, TCRD, TPVG, and TSLX). Investors looking to grow a position to an appropriate allocation. Investors looking to opportunistically add to a position beyond an appropriate allocation. This is for investors that do not currently have a meaningful position in a certain BDC and would like to “dip their toe in” with a starter position and then continue to buy more on the dips. I suggest buying a small number of shares closer to its target price. This is for investors that already have smaller positions and would like to grow them to a proper allocation for a diversified portfolio. I suggest adding to these positions at prices closer to 5% below its target price as I recently did with TCP Capital (TCPC) due to favorable pricing during its recent equity offering as discussed in “TCPC Equity Offering: Is It Still A Buy?”. This is for investors that already have full positions and would likely only add at opportunistic prices of around 10% below target prices. Active traders might choose to sell these shares for capital gains at a later date to re-balance the portfolio. many purchases (for safer BDCs) when RSI is closer to 30. Investors should use limit orders when purchasing exchange-traded debt such as Baby Bonds. BDC Baby Bonds trade “dirty” which means that there is a certain amount of accrued interest in the market price. I have included the amount of accrued interest that updates daily. You need to own the Baby Bond one trading day before the ex-dividend date to be eligible for the full quarter of interest. It is important to take into account which BDCs are “callable” and the potential for capital losses during the worst case scenario. 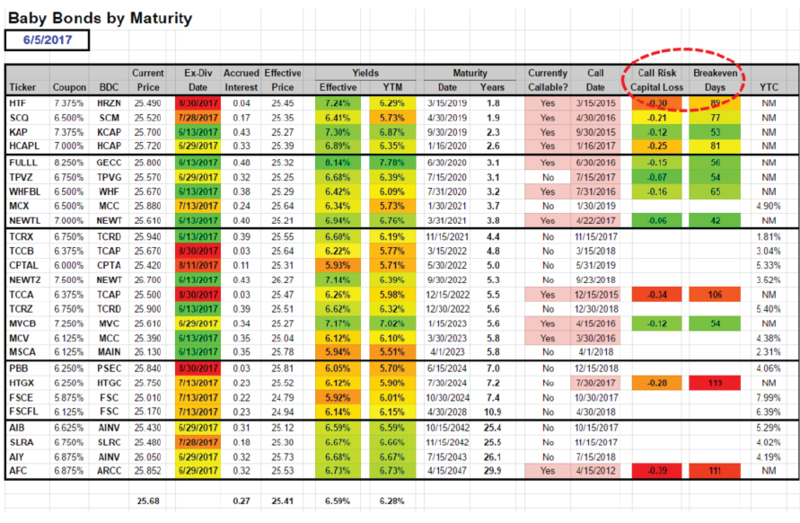 The Call Risk Capital Loss column refers to the worst case scenario of a bond being called tomorrow (if currently callable) and takes into account 30 days of additional interest accrued before being redeemed. See below. 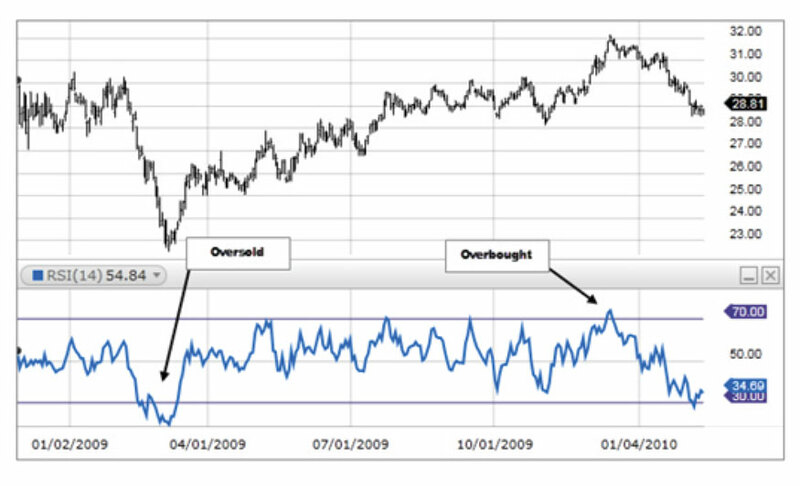 Breakeven Days refers to the number of days of interest needed to break-even given the current market price. See below. Type your paragraph here.